XP-0109 Wt. 0.8 lbs. 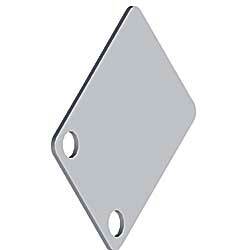 3-1/4" x 4-1/4"	 7-ga. thick.